Back with one more product review . 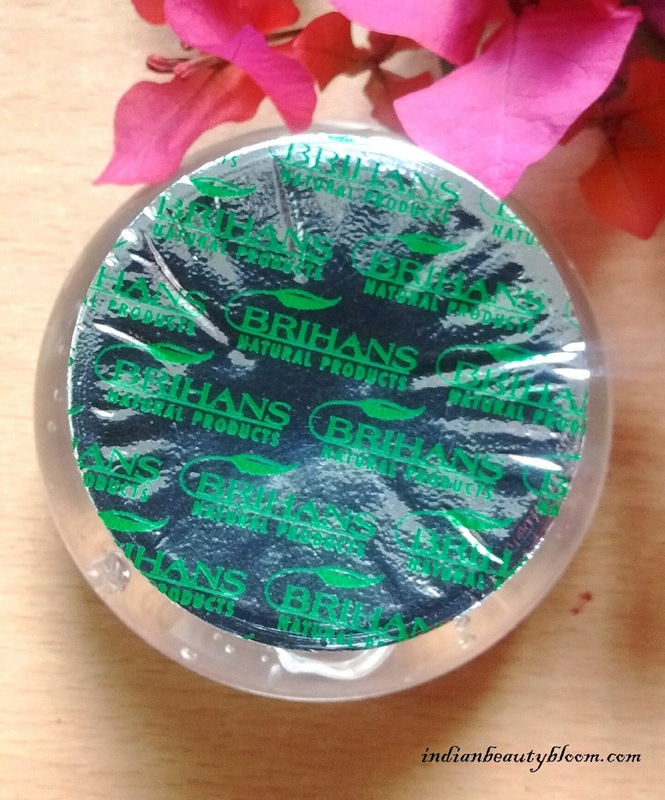 Today I am going review a product from brand Brihans Natural. It’s Green Leaf Aloe Cucumber Gel . Established in the year 2000 , this is a brand which offers natural Skin Care , Hair Care & Health Care products . 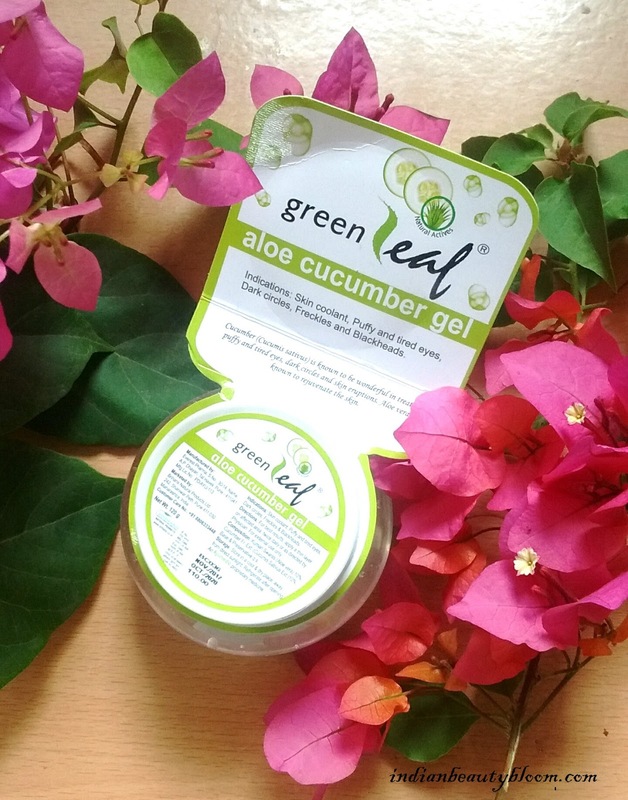 Their Product range includes Aloe Vera Based products like Face wash , Shampoo , Aloe Vera Gels , Body Lotion , Foot Cream , Aloe Vera Juice etc. This Green Leaf Aloe Cucumber Gel is a product meant for Eye Care . As Cucumber is known to be treating Dark Circles & Puffy Eyes . The gel comes in a tub packaging . 1. 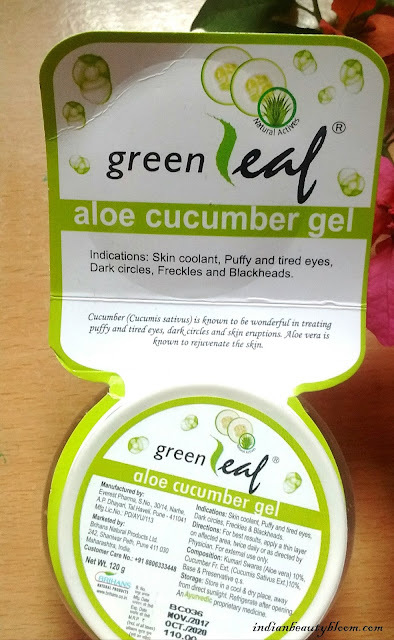 Aloe Vera Based product so good for skin . 2. Can be used as a Eye Cream or a Night Cream . 3. 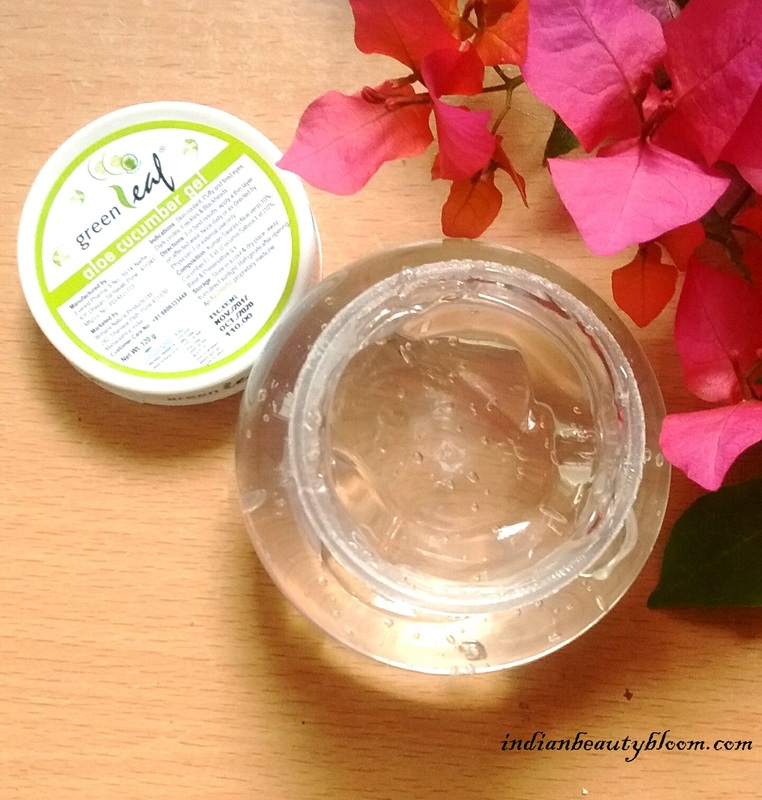 Gets absorbed in skin easily and makes skin smooth & soft . 5. Sufficient Shelf Life for longer usage . 6. Suitable for all skin type . The Product claims to reduce Dark Circles , Puffiness around eyes . I am using this gel past few days , it’s good . Has a nice mild fragrance . 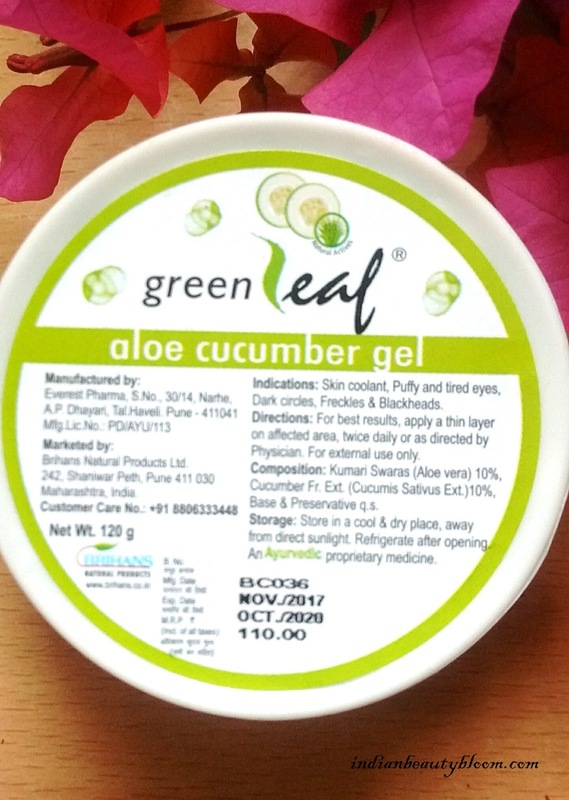 I am using this as a Night Cream as earlier I have used Aloe Vera Gels from other brands as night cream , it suits my skin which is oily . So this product works good on oily skin . One needs little amount and it gets absorbed in skin after gentle massage . Moisturizes the skin and makes it soft . Over all it’s a good product in affordable Price . One can buy this product from online stores like Amazon , Flipakrt , Big Basket etc . Easily Available every where .